Football agents are nowadays more than just people who negotiate your contract and provide you with an answer when you have a question regarding your career – at least that’s what they should be. For as far back as the 1890s, when the term was introduced in England, they have been involved in all kinds of business. Like with most things in football, the football agent‘s story began in England. 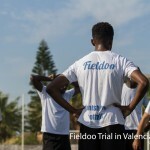 Their initial and hence primary task was to bring players to clubs. In 1893, an unnamed agent even built up a whole team – called the Middleborough Ironopolis – in three days from scratch. But that kind of business practice didn’t last long, as the clubs started to worry about the influence these people have on their players. 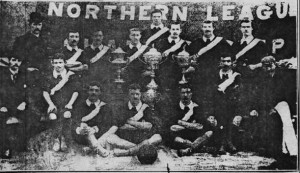 1885 brought professionalization of football and not long after that, in 1901, when the maximum wage (4 pounds per week) followed the institution of the “retain-and-transfer” system (players were not allowed to leave their clubs without the club’s consent), agents started fading away. The following decades brought total control over players and their earnings, with some leagues not administering such stiff rules. Agents came back into the game from “the outside”, from other countries, trying to lure players away from England; the French were quite strong at that, as were the agents from the USA. The Second World War brought dramatic changes not only to the lives of millions of those affected, but also to football and the football agents. Back in the days when there was no real control over who makes football transfers happen (unlike today, when you have to be a licensed football agent in order for it to be legal), people from all parts of society found ways to earn some extra money within the business. Players would often turn to journalists for help, as did Denis Compton in 1947. The cricket and football player (Arsenal FC) has been described as “a desperately handsome cavalier whose mere arrival would pack a county cricket ground where today only a few pensioners and their wheelchair-pushers turn up”, but couldn’t spot the opportunities that came with that. 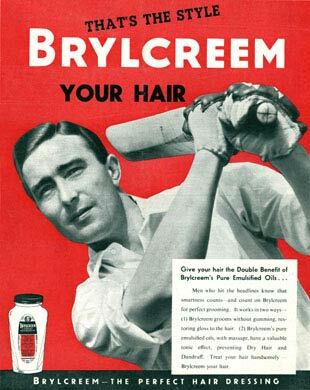 With the help of cricket reporter Reg Hayter he met Bagenal Harvey, who was way ahead of his time and set Crompton up for a cultural endorsement with Brylcreem hair care products. This made Harvey unofficially known as the first “modern” sportsman’s agent, or rather the first “image rights” agent in Britain. The agents (again) became more actively involved in football transfers and contract negotiations in the 1950s and 1960s, with the milestone coming in 1957. That year “The Gentle Giant” John Charles moved from Leeds United to Juventus (the transfer fee was 65.000 pounds; it almost doubled the previous record sum paid) with the help of Teddy Sommerfield – an agent who usually dealt with TV celebrities. Americans, who were leading the way in the entertainment business, wanted to expand to football, only to find the players too afraid to accept their help; most of them were frightened by the prevailing rate at the time, which stood at 20 per cent. 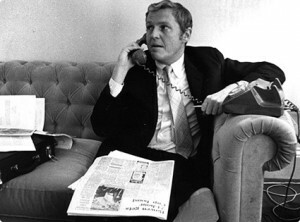 Mark McCormack, founder and once chairman of International Management Group (now IMG), wanted to sign England’s 1966 World Cup stars Bobby Moore and Geoff Hurst, but failed. Crompton was followed by George Best as the next TV advert superstar, but people still wonder if Irish sausages were the best the first real international football celebrity could do. With years passing by, so did the transfer fee records. In 1979 Trevor Francis moved to Nottingham Forest – with the help of Dennis Roach – for a record, seven-digit (over 1 million pounds) number. “The tag of being the first million player opened up avenues not previously available to footballers,” said Roach. “It is to be a manager and exploiter of talent. The development of the client is what we are interested in. That’s where you maximize earning potential, not through moves,” he once said. So, have you ever wondered what makes David Beckham so different from all the other players? 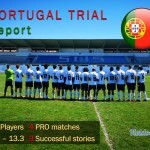 How to become a licensed football player’s agent? Who is a football scout?